Accidents on others’ unsafe properties, including slip and falls. Mr. Hillyard grew up in a small farm town in Iowa. He graduated from the University of Iowa in 1968. After working as a probation and parole officer for the state of Missouri in St. Louis for a year, he attended and graduated from the University of Denver Law School in 1972. Throughout his entire legal career, spanning more than four decades, Mr. Hillyard has focused on exclusively representing accident victims and injured people. This includes both individual victims, as well as groups of victims (including an entire neighborhood in a gas leak case against a Chevron Oil gas station). His consistent dedication and successes have earned him many professional distinctions and honors. 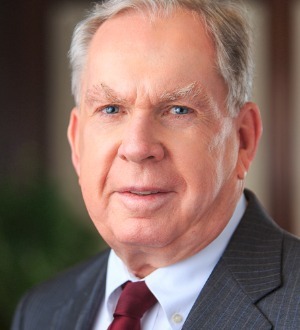 From 1986 to 1987, Mr. Hillyard served as President of the Colorado Trial Lawyers. He was awarded that organization’s Lifetime Achievement Award in 2003. He is a Fellow in the International Society of Barristers, an invitation-only organization of trial lawyers from around the world. He has taught trial practice to other lawyers and has been called upon numerous times to speak and write about representing victims of injury or death of a loved one. In addition to being named in Best Lawyers in America for over 25 consecutive years, Mr. Hillyard has been named in Super Lawyers every year since that publication was started. Both of these recognitions are designated by peer (other lawyers’) vote. Over his legal career, Mr. Hillyard has had multiple jury verdicts and settlements in excess of a million dollars, including a settlement in excess of $10 million. These verdicts and settlements have included awards for cases involving injuries or deaths caused by motor vehicle accidents, medical malpractice, and other accidents. Mr. Hillyard has been married to his wife, Sherry, since 1975. They have two sons. He is a long-time motorcycle rider and enthusiast, and he loves fly fishing, especially with his sons and his wife. Best Lawyers in America for over 25 years in three practice areas. Featured in Super Lawyers Magazine for exemplary skills and knowledge in personal injury.